Social media management platform Lightful has raised £4 million (€4.5 million)in funding as it plans to invest in its platform and technology to reclaim social media “for good”. The Series A funding will help the company extend its reach, and fund research into new technology such as voice recognition, bots and machine learning projects for the sector. 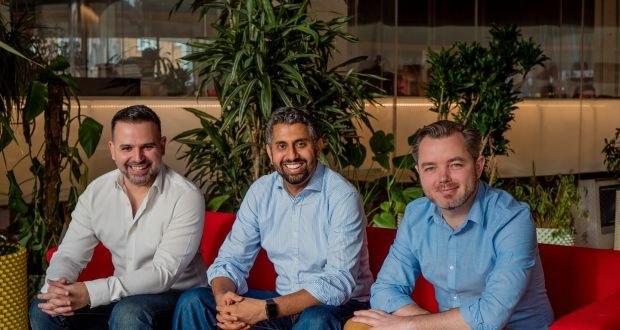 The UK-based startup, which was founded by Irish entrepreneurs Vinay Nairand Johnny Murnane, along with Carlos Miranda, aims to help raise awareness and support for good causes. It offers charities a social media management platform that can help them find and understand content, build relationships with donors and includes analytics tools. It offers a range of pricing, including a free product for smaller organisations. The platform integrates with Facebook, Twitter and Linkedin, creating a single, unified platform for charities to manage their social media content, supporter relationships and campaigns. “At its core is the sense that charities and social enterprises are underserved in how technology can help them raise more support,” said Mr Nair, the company’s chief executive. More than 1,800 charities, individuals, and what it calls “beyond profit” organisations have signed up. “We want to invest in people and technology to work with more and more organisations, to increase the platform reach and have more organisations able to raise important funding,” he said. Aside from its work with smaller charities, Lightful also offers digital consulting services for larger charities through Lightful Services, creating bespoke solutions such as donation portals. Its Lightful Labs division is focused on research and development of more innovative features. Among its backers are Pink Floyd drummer Nick Mason, IndyCar champion Dario Franchitti, and entrepreneurs Jeffrey Thomas and Annika Small. The company has also been backed by friends and family in previous fundraising efforts. The company’s business is predominantly based in the UK market, but Mr Nair said Lightful was looking forward to the platform being used in Ireland, the rest of Europe and farther afield.